It was by far the cheapest option in Rome, and as budget accommodation it was just right. Nothing special, but definitely sufficient. Had issues with the A/C unit that were resolved within one hour, which we really appreciated. The young man that was maintenance/cleaning staff was particularly friendly. Walking distance to the main attractions (15-30 min walk). The wifi is excellent and fast. The location is very good if you want to be in walking distance of the train station (15mins). It's also near two metro stations which is very useful after a day of walking. After we complained, they changed us to a better room. Thank you. The shower is very good. Staff helped out with transportation and sightseeing guideline at check-in. Bathroom in very good condition. Very good air-conditioning. Not noisy. Had small fridge available. Walking distance to the Roma Termini, Colosseum, Roman Forum, Pantheon, large supermarket and some well-priced restaurants. Good location if you arrive late from train or airport (shuttle buses arrive to Termini train station) or have an early train to catch. Behaviour of the front desk staff. Location of the property. Good location, walking distance everywhere. IF location in a good value is something you are looking for then definitly go for it. Hotel need some refurbish but I could say that is in progress so may be only better. The hotel is 2min walking from subway. The owners are very kind and helpful =) Breakfast included is simple but nice, from a little bar aside. Important to be said that it's not noisy. Family House This rating is a reflection of how the property compares to the industry standard when it comes to price, facilities and services available. It's based on a self-evaluation by the property. Use this rating to help choose your stay! 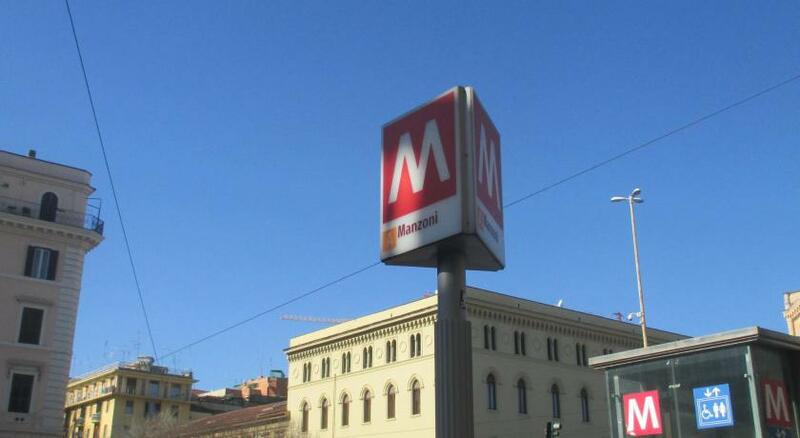 Less than a quarter mile from Manzoni Metro Station, this property is a 5 minute ride from Termini Train Station. It offers functional rooms with air conditioning and a private bathroom. The Colisseum is a 15 minute walk away. 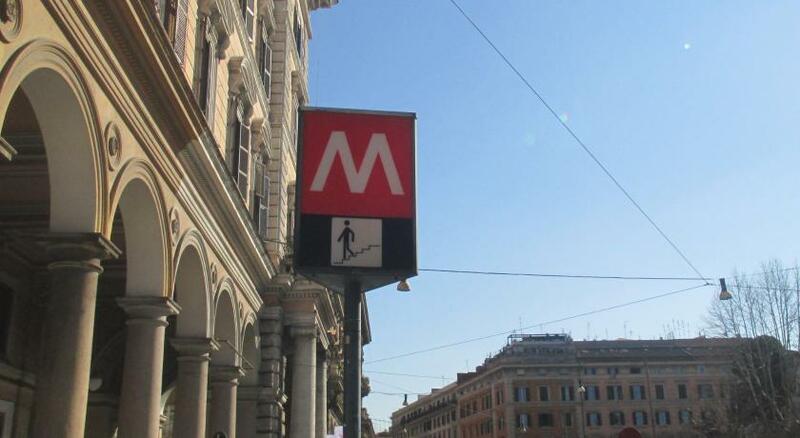 A good base for visiting central Rome, Family House is connected to St. Peter's Square and the Vatican Museums by metro. San Giovanni Basilica is a 12 minute walk away. 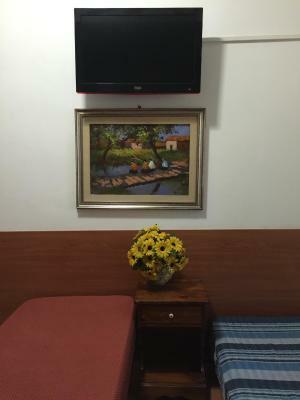 Rooms at Family House have simple furnishings and a TV. Guests can enjoy a classic Italian breakfast at a nearby cafe, with a cappuccino coffee and a sweet pastry. This air-conditioned room offers free Wi-Fi, a TV and private bathroom. This air-conditioned room includes free Wi-Fi, a TV and private bathroom. House Rules Family House takes special requests – add in the next step! Family House accepts these cards and reserves the right to temporarily hold an amount prior to arrival. Please note, the guest house occupies 5 floors of a building with no elevator. Hotel is still under renovation. The mattress is terrible. Sound isolation is incredibly bad. Our neighbor talked loudly (at the beginning even at the open-doors), continually through out the night until morning, smoking at the same time. The hotel staff didn’t proactively did anything to stop it. We first communicated with the guests by ourselves and it didn’t change anything. Then we complained and the staff helped us out by asking the guest to stop. The guest stopped for a short while and then started again. Our whole room smelled smoke. That means the ventilation / isolation is so bad, the smoke of the neighboring room came into ours. Cleaning person should really clean: Vacuum room and bathroom especially hair, clean bathroom and wipe down baseboards. Clean, replace quilt more often. The hotel is going through renovations. So dust everywhere. No house keeping and terrible breakfast that includes instant coffee served as americano and one croissant. Missing curtain in the washroom. Burned holes in the bedsheet and strong smoking smell. The location is fine, 20 minutes walking from the main station and just 1 stop away by underground. There are some bars and cafes nearby. The room is clean. The bathroom and the shower are clean. The wifi is fine. Basic toiletries. The staff is kind. Very convenient price. Bathroom was dirty and old. Floor in the room was totally covered by dust. Room Service made a bad everyday.